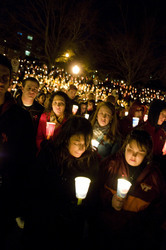 A year after the shooting massacre that left 33 people dead at Virginia Tech, security remains a concern on local college campuses. 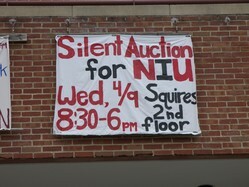 This sign advertising a silent auction for Northern Illinois University hung on the front of Squires Student Building on April 8, 2008. 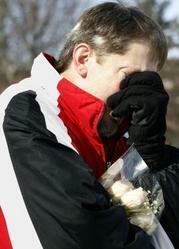 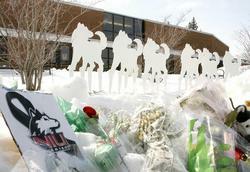 Sign says: "Silent Auction for NIU Wed, 4/9 8:30-6PM Squires 2nd Floor"
Ken Shold, an NIU almunus and father of a current student, sheds tears while praying in front of Cole Hall on Saturday, Feb. 16, 2008, on the Northern Illinois University campus in DeKalb. 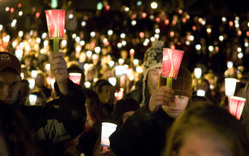 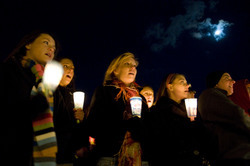 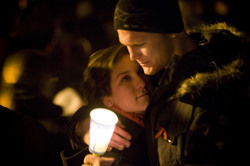 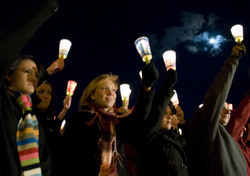 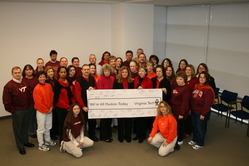 Attendees at Virginia Tech&#39;s candlelight vigil for NIU. 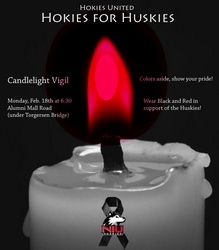 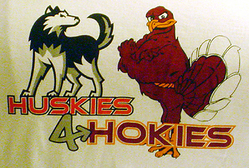 Virginia Tech&#39;s candlelight vigil for NIU. 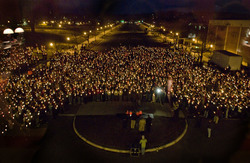 Attendees hold candles at Virginia Tech&#39;s vigil for NIU.